The poster for the 9th Annual Doug Wright Awards, drawn by Ethan Rilly. The Doug Wright Awards for Canadian Cartooning are proud to announce their 2013 finalists. The nominees for the 9th annual awards include industry stalwarts (Michel Rabagliati, David Collier), past winners (Ethan Rilly, Michael DeForge, Michael Comeau) and an exciting pack of first-time nominees (Nina Bunjevac, George Walker, Eric Kostiuk Williams). A feature event of the Toronto Comic Arts Festival (TCAF), The Doug Wright Awards are also pleased to announce that the Quebec cartoonist Albert Chartier will be posthumously inducted into The Giants of the North: The Canadian Cartoonists Hall of Fame during the May 11, 2013 ceremony in Toronto. 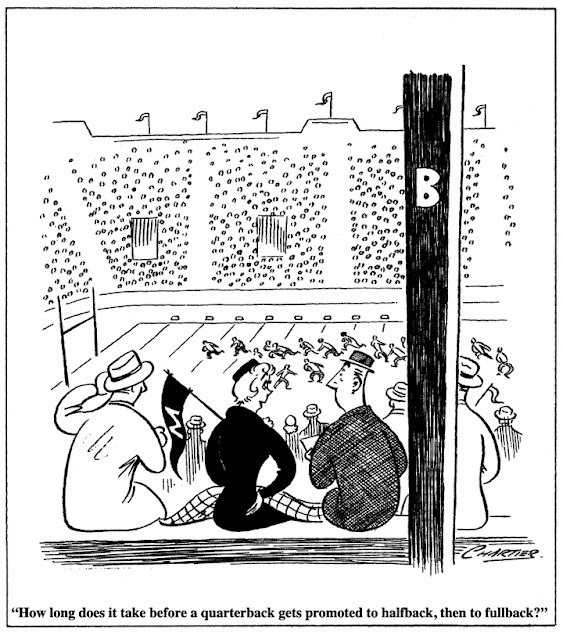 Chartier (who died in 2004) had an extraordinary career that lasted more than 65 years during which he drew several popular comic strips including Séraphin, Les Canadiens and Onésime, his most well-known work which ran for 59 years (from November 1943 until June 2002). 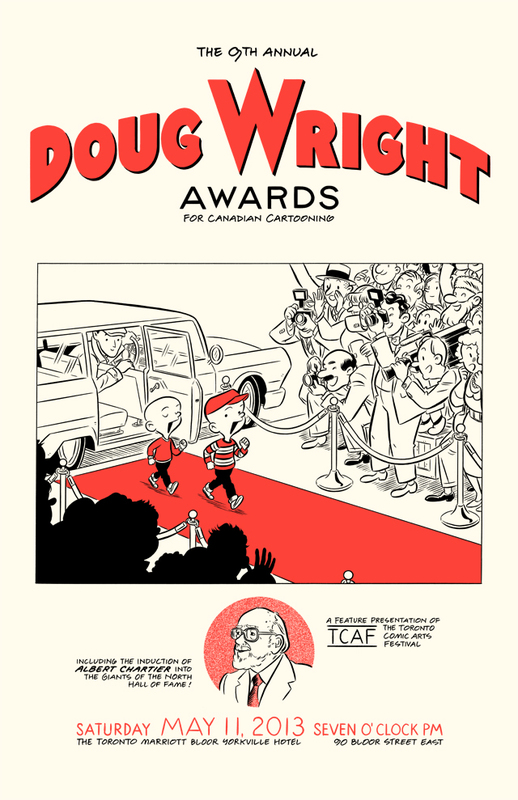 Founded in 2004, The Doug Wright Awards recognize the best in English-language comics (or translations of French) by Canadian cartoonists. Now in their ninth year, the Awards will be handed out at a ceremony at Toronto’s Marriott Bloor Yorkville Hotel on Saturday May 11 from 7:00 – 9:00 pm. 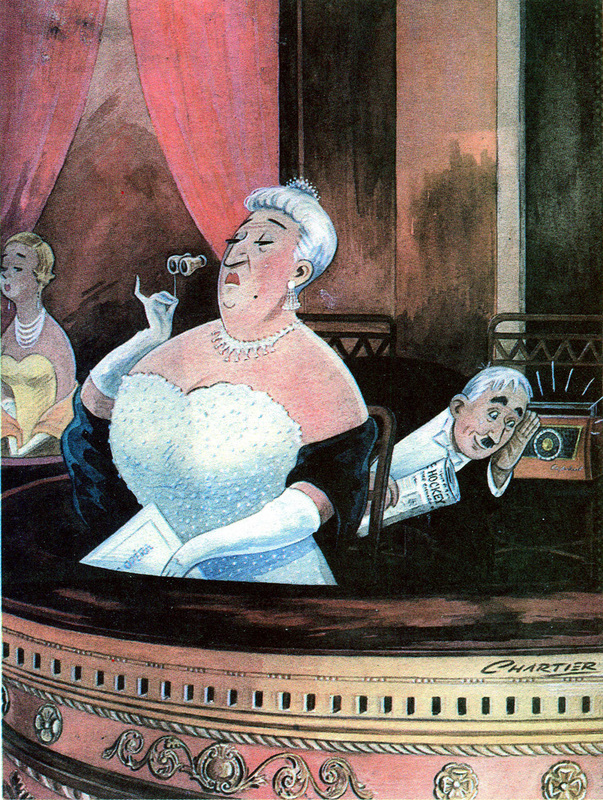 The Doug Wright Awards will also be holding a fundraising auction of original art this spring by more than a dozen well-known Canadian cartoonists, including Chester Brown, Seth, Michael DeForge, Michael Cho, John Martz, David Collier and David Boswell. The finalists for the 2013 Doug Wright Awards were chosen from a long list of more than 120 works and submissions published during the 2012 calendar year. This year’s nominating committee included Jerry Ciccoritti, Seth, Bryan Munn, Chris Randle and Sean Rogers. Scott Thompson [Kids in the Hall & Hannibal will be hosting the awards ceremony. One of the founding member of The Kids in the Hall, Thompson is known for his starring roles in the CBC Television show Death Come to Town, appearances on HBO’s The Larry Sanders Show, the 1996 feature film Brain Candy, and most recently is part of the cast of the NBC series Hannibal playing a forensics specialist! He’s also a practiced host of awards, having done so for Canada`s Genie Awards in 2004, So if there was any doubt that the mind behind Buddy Cole would have any problem roasting. Hah! It should make for a fun night! For more information, visit wrightawards.ca. Scott also has a very fun podcast, you should subscribe!